Have you ever wondered, "What is the Golden Ratio used for?" You may be surprised to learn that the Golden Ratio is found in almost every aspect of life, nature and the universe. It is used in the practice of feng shui, the creation of the arts and the planning and building of architecture. Why Is the Golden Ratio Important? Also known as the Divine Proportion or Golden Section, the Golden Ratio is an infinite irrational constant number often referred to as nature's perfect number. That's because the ratio found in natural objects matches that of the Golden Ratio. This number is 1.618 and is also known as Phi. The Golden Ratio is the basis that most people use in determining what they perceive to be beautiful. This is often done on a subconscious level by the person viewing the object, but the creator, such as an artist or architect, purposefully designed the object to reflect the mathematical proportions of the Golden Ratio. The perception of the object's beauty is the result of the symmetry created by using the Golden Ratio measuring rod. This means that the proportions of the subject fall into the same measurements as those of the Golden Ratio. The closer the subject's measurements match those of the Divine Proportion (Golden Ratio), then the more it's perceived to be in balance and symmetry. The examined subject is deemed to be closer to perfection and therefore, more beautiful. In the practice of feng shui, achieving balance is essential. The balance of the universal energy of life, called chi, needs to flow unobstructed throughout your home. The balance of the five elements within your space can impact the balance of these two opposing, yet dependent forces of yin and yang, which form chi energy. When a balance between the elements exists, it creates harmony and balanced chi energy, which reflect this fundamental feng shui principle. The yin yang symbol of two teardrop shapes, one ascending and the other descending, is flawless in its balance and symmetry. One half cannot be complete without the other. It's only when these halves are together, forming a circle that's whole and perfect, that the yin yang energies become complete and in perfect balance and symmetry. Throughout history, the Golden Ratio has played a very important role in the creation of art, sculpture, monuments and the architectural designs of various buildings. Examples of the Golden Ratio can be found in the Arts. The famous artist Pheidias created sculptures and a frieze of a religious procession depicting the people of Athens. A colossal image of Athena Parthenos was made from ivory and gold using the Golden Ratio. The name Borabudur means mountain of accumulated merit of the ten states. Borabudur Stupa represents the period in the Buddha's life when he obtained Nirvana, a state of enlightenment and peace. Leonardo da Vinci used the Golden Ratio for his famous painting, Mona Lisa. The woman in the painting is of renowned beauty thanks to the symmetry of the Golden Ratio. Michelangelo's statue of David from the Old Testament was created using the Golden Ratio. Like the Mona Lisa, the Golden Ratio is considered in part why this 17-foot tall statue is considered a perfect example of the human male figure. Since ancient high-civilization periods, the Golden Ratio has been used to design and build many architectural structures. The Chartres Cathedral captures the mystique of Gothic architecture. It clearly demonstrates the Knights Templar's architectural aptitude in this iconic example of French Gothic design created by using the Golden Ratio. It's said that Jose Villagran Garcia, the architect of Mexico city Cathedral used the Golden Ratio in his creation of the Mexico City Metropolitan Cathedral. There is always a distinct look of building created using the Golden Ratio through the presence of symmetry. Notre Dame de Paris Cathedral is a prime example of Gothic architecture. The cathedral reveals the Golden Ratio in its Rose window and Western facade. Many parts of the Acropolis were built based on the golden ratio. This includes the mesmerizing Porch of Caryatids (or Maidens). 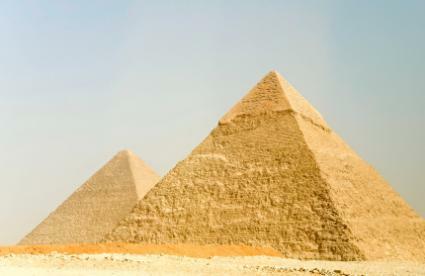 The most prominent example of pyramids built using the Golden Ratio can be seen in the Giza Pyramid. This is an excellent example of the Golden Ratio guiding the design of a building as are the three small Pyramids of the Queen. The application of the Golden Ratio can be seen throughout the construction of the Parthenon. There is a long-running debate that the builders didn't employ the Golden Ratio when erecting The Parthenon since the entire structure would have benefited from a more consistent application of the Gold Ratio. The United Nations Secretariat Building was designed by Swiss architect Le Corbusier famous for his use on the Golden Ratio. In addition to the Golden Ratio, the use of Fibonacci numbers were also employed. By exploring the various ways that the Golden Ratio is used within the context of feng shui, when someone asks, "What is the Golden Ratio used for?" you can now explain. The Golden Ratio is certainly one of the most important tools used in feng shui as a way to keep the elements and forces of chi energy within your house or workspace, in perfect balance and harmony.